Delicate pineapples form petal points in the motifs of this crocheted afghan. 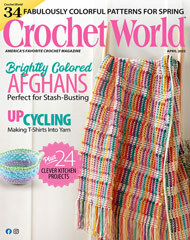 Stitched with knitting worsted yarn with a size G crochet hook. Size: 58" x 72".